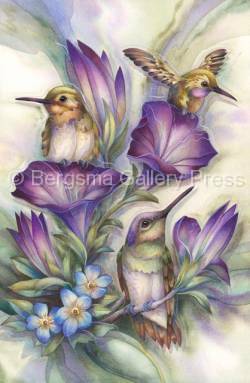 5 x 7 inch art card with envelope included. Blank inside. 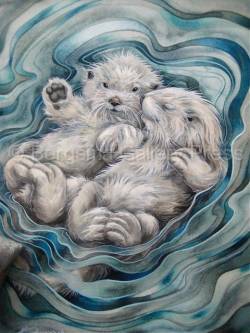 "A Love Like No Otter" printed below image with Jody's signature. 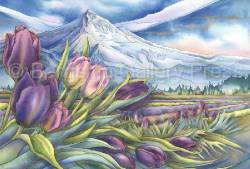 "Amethyst Sunrise...A New Day Begins" printed below image with Jody's signature. 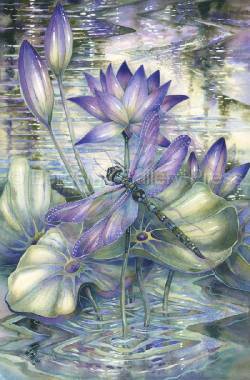 "Come Fly With Me" printed below image with Jody's signature. 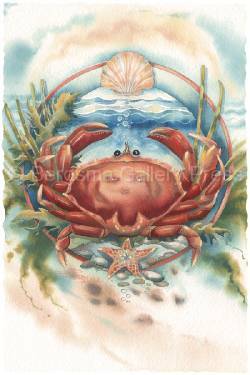 "Don't Be Crabby" printed below image with Jody's signature. 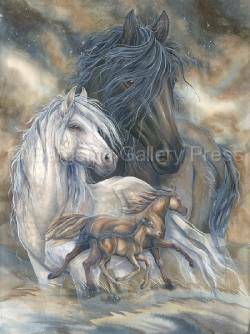 "Everlasting Friendship" printed below image with Jody's signature. 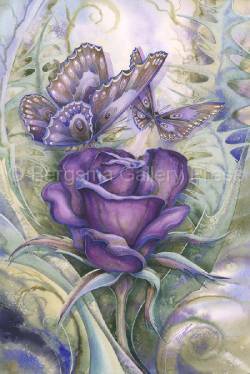 "Garden Of The Heart" printed below image with Jody's signature. 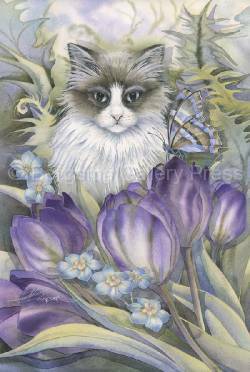 "Happy Days" printed below image with Jody's signature. 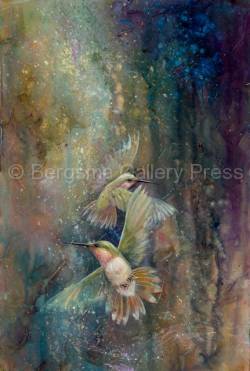 "Humming In The Rain" printed below image with Jody's signature. 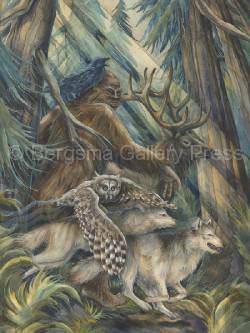 "In The Footsteps Of A Legend" printed below image with Jody's signature. "Inherit the Wind" printed below image with Jody's signature. 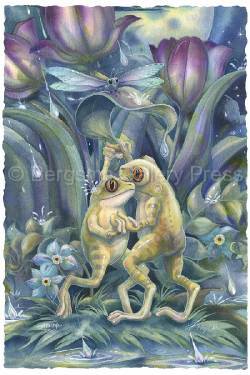 "Life Is Not About Waiting For The Storm To Pass..." printed below image with Jody's signature. 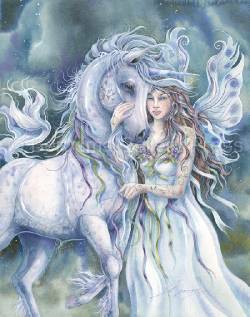 "Long Live Magic" printed below image with Jody's signature. 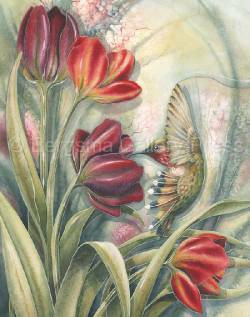 "Love Is A Beautiful Thing" printed below image with Jody's signature. 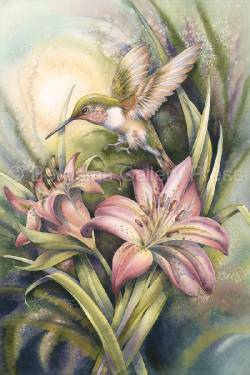 "Morning Kiss" printed below image with Jody's signature. 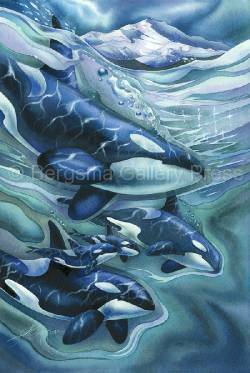 "Orca Clan" printed below image with Jody's signature.